One of our iconic treats, our chocolate-covered cherries are crafted using sun-ripened cherries that are carefully pitted and dried. 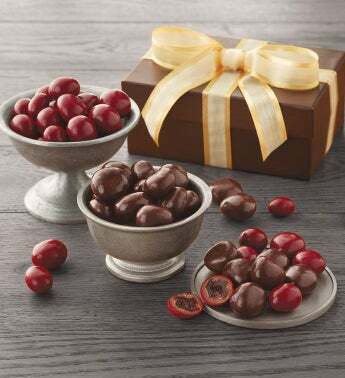 The cherries are enrobed in either creamy milk or rich dark chocolate and covered with a sweet candy coating. The result is exquisite chocolate-covered fruit that's perfect for all occasions.